We have free, trained, and experienced volunteers across England, Wales, and Northern Ireland that can help you and your school. Using their life experience and knowledge, our School Speakers can bring a personal dimension to young people’s study of humanism that goes ‘beyond the textbook’. They offer a range of services and will fit around your needs and requirements. 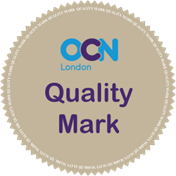 Our school speaker training has been awarded the OCN London Quality Mark for the highest standards of training and learning. Click here to request a School Speaker. Please see our Code of Practice & Values and Terms and Conditions.